Starting out as a pop-up eatery created by Sydney-based chefs Manu Feildel and Phillip Davenport, Duck In Duck Out is fast food concept that is turning a French classic on its head - taking the not-so-humble duck confit and serving quick, tasty dishes with a twist. The success of the initial pop-up paved the way to establishing a permanent store at World Square in Sydney's CBD. The original pop-up store had a social media presence but with limited resources, engaging with customers and growing reach was a time consuming but important task that was not getting the full attention it deserved. Posts were often last-minute decisions and managing enquires and customer expectations were far from consistent. We had to get this right for the new store. 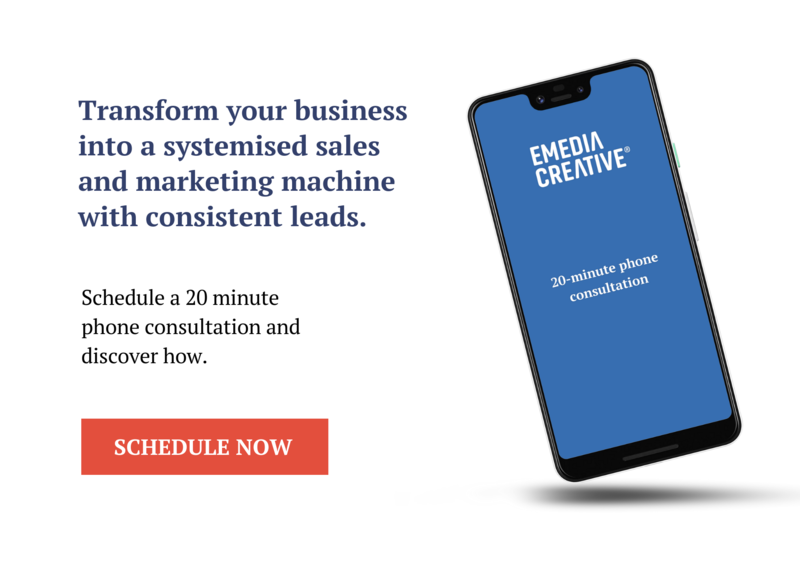 The Emedia Creative team sat down with Manu and Phil and workshopped how their brand would be perceived, what was important to them as owners, and what made the brand unique. The values uncovered included, Cheeky, Authentic, Mouthwatering, Audacious, and Approachable. Duck In Duck Out now had a framework and tone for all social posts moving forward. “It is fast food with technique, a little bit of tongue and cheek and very down to earth” explained Manu. “We need to get that message across in our posts”. We kicked off the campaign with a hand-picked influencer strategy to generate buzz and content that could then be used in posts to support the official launch and on-going activities. The results were spectacular as reflected in the first month's report. On the evening of our influencer event, we arranged for 15 top tier food influencers to come in and sample the delicious food on offer at Duck In Duck Out. Influencers all posted beautiful imagery on Instagram tagging Duck In Duck Out. This meant we were able to tap into each of their dedicated followers and achieve a reach of 265k Instagram users. 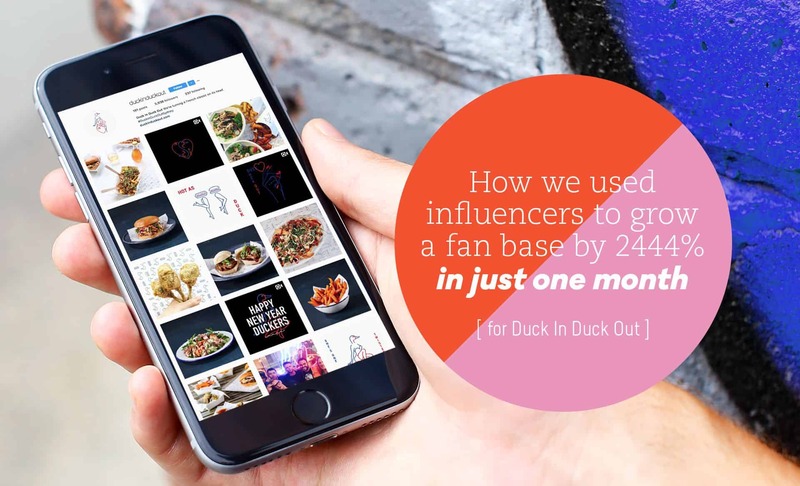 This lead to us gaining a 6% growth of Duck In Duck Out Instagram followers in the first 72 hours. In their words - "Manu, Phil and the whole team here are loving what you are doing with our social media, loving the interaction and responses! To be honest I don't think we could be happier! Everyone is commenting on our social media (internally and externally) and very impressed with the results so far. Paul has been wonderful to work with and so helpful. He always comes up with a solution for me when I have been a little stuck!" Talk to us today to discuss how we can influence and help grow your social media fan base.